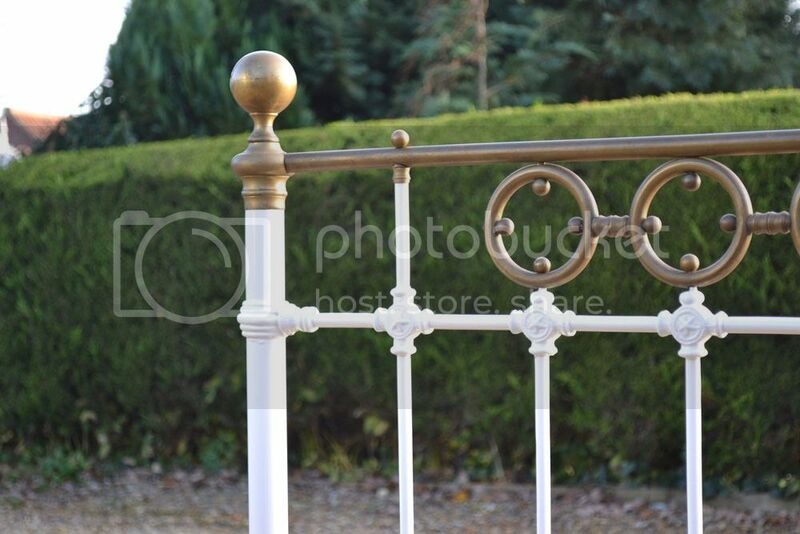 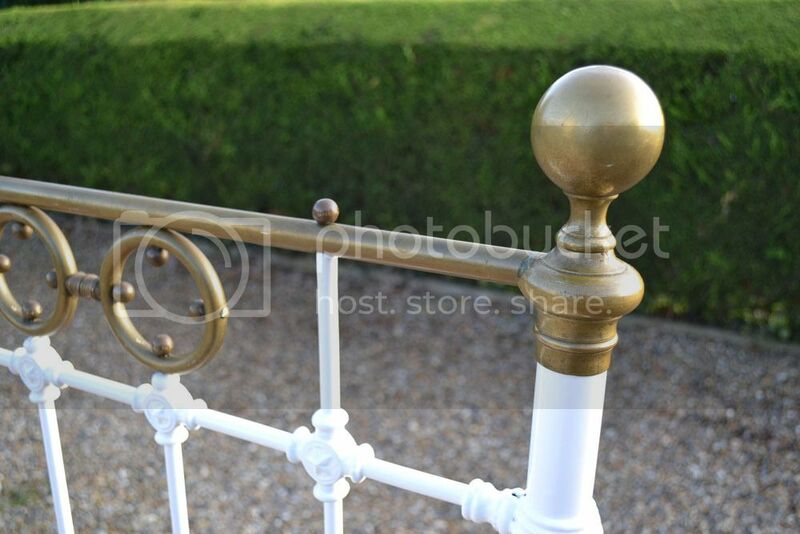 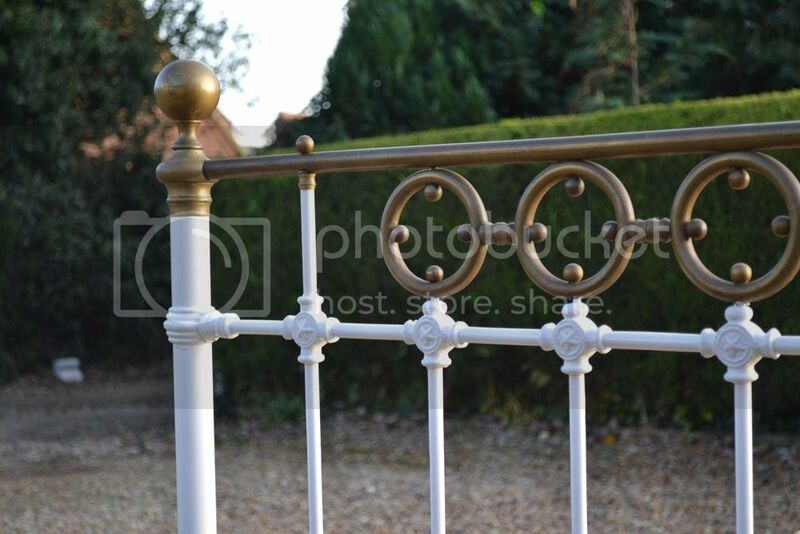 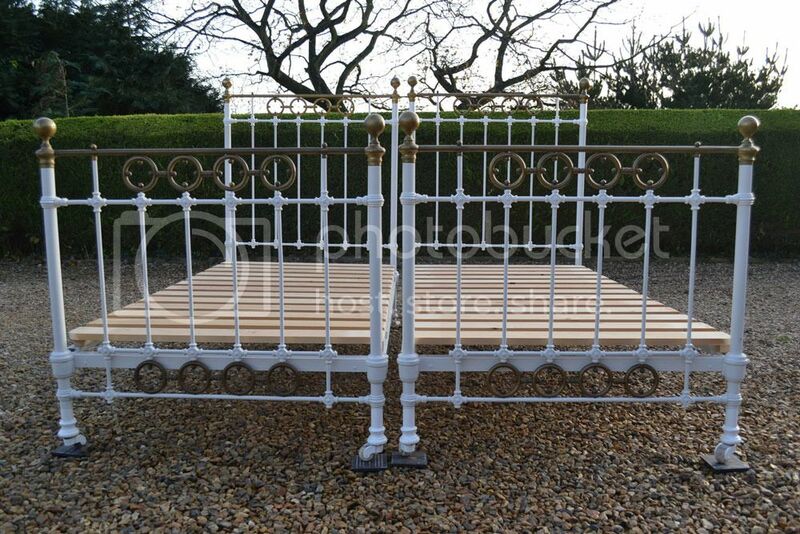 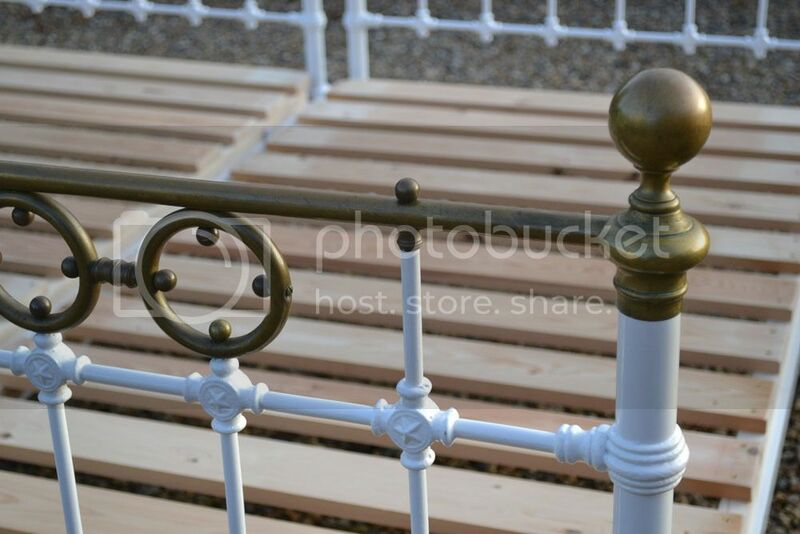 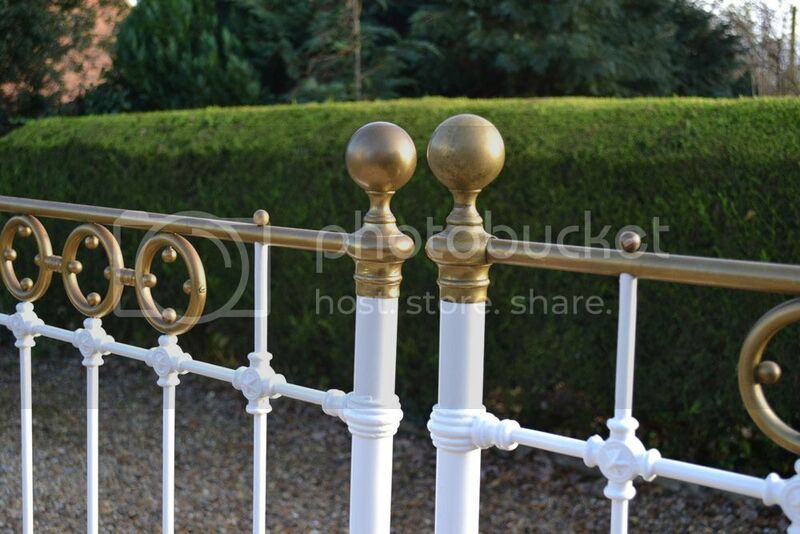 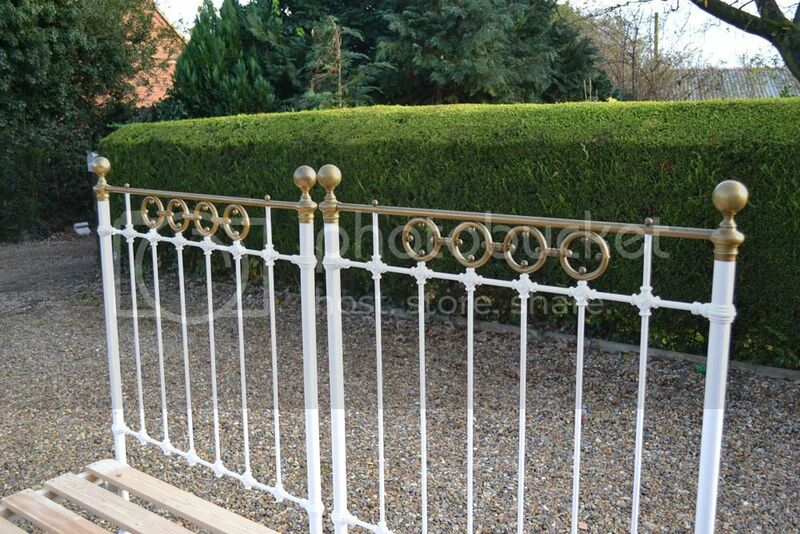 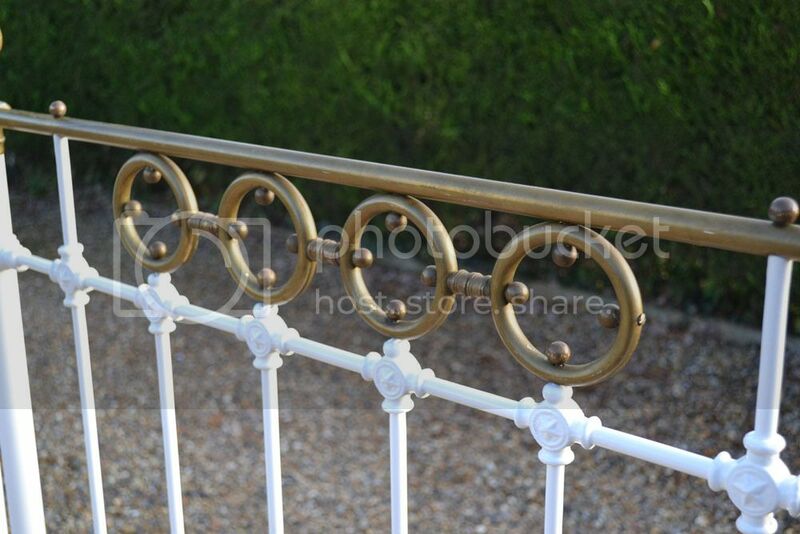 Code BA366 Matching pair of French Brass & Iron large single beds restored in the past for the previous owner with slatted bases. 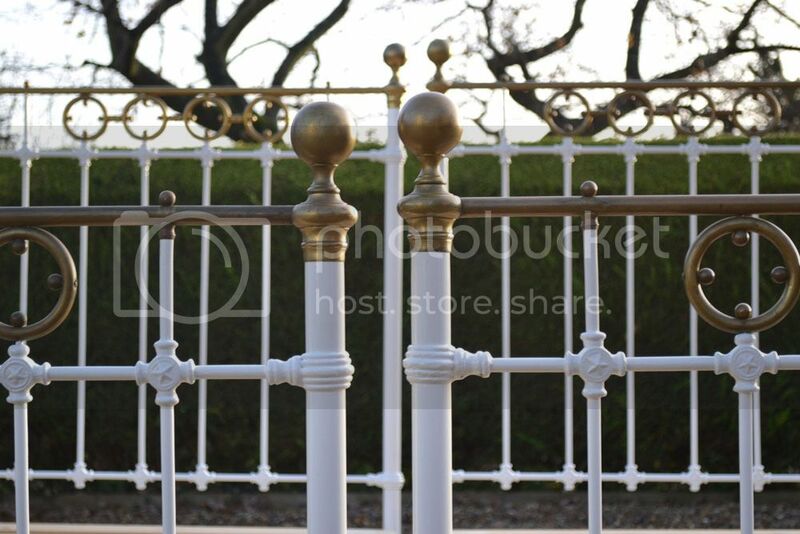 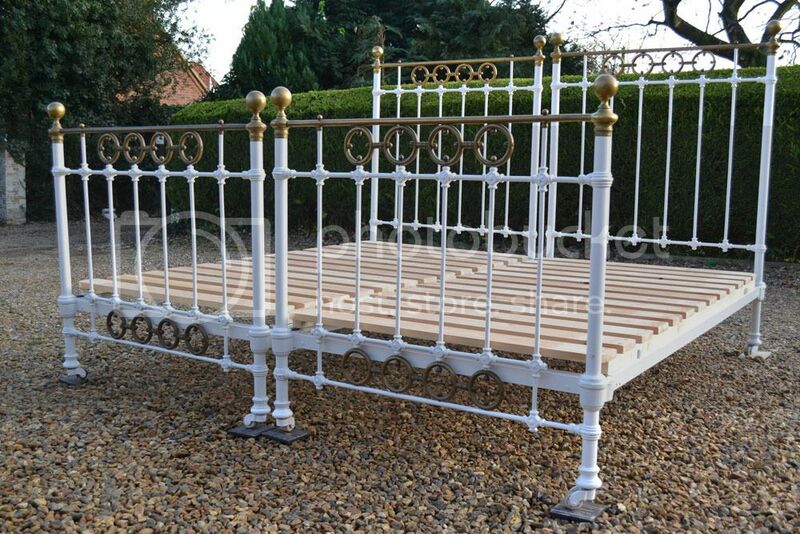 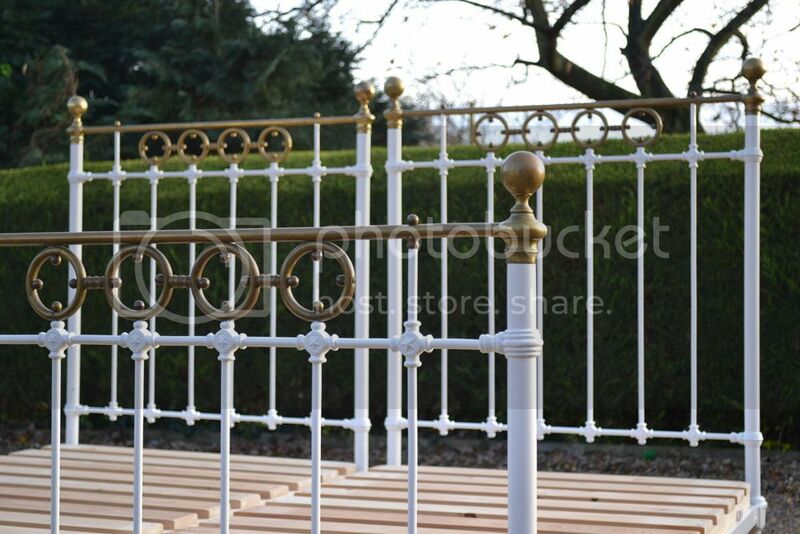 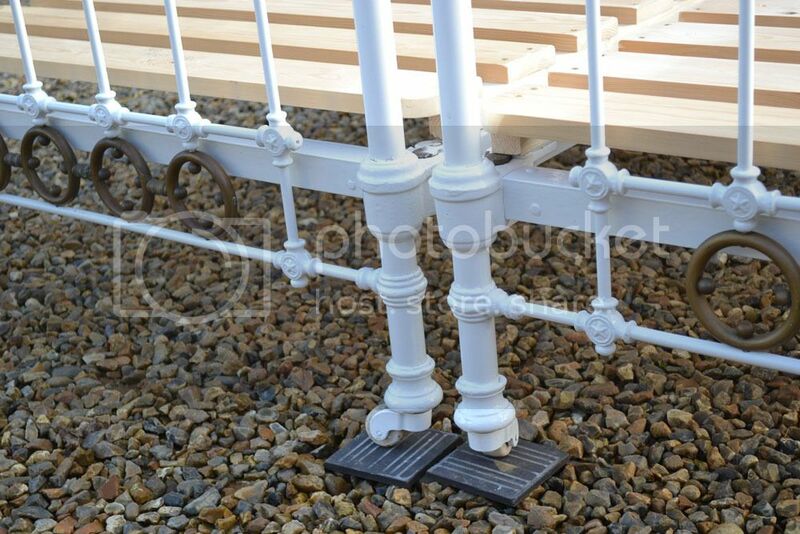 The beds have been powder coated or stove enamelled for the previous owner about 6 years ago. 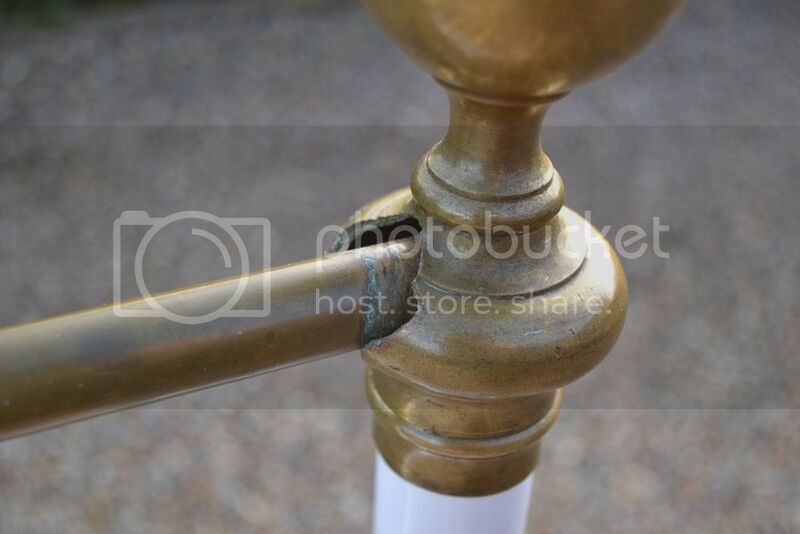 They have various marks and chips here and there but are structually sound and in good shape, there is one piece of broken brass on the head end but this is not structual.